Considered one of the nation’s best examples of temperate rainforest, the lush Hoh Rainforest is fun to explore via both short and long canopy-covered trails that put you in the midst of an enchanting world of green. 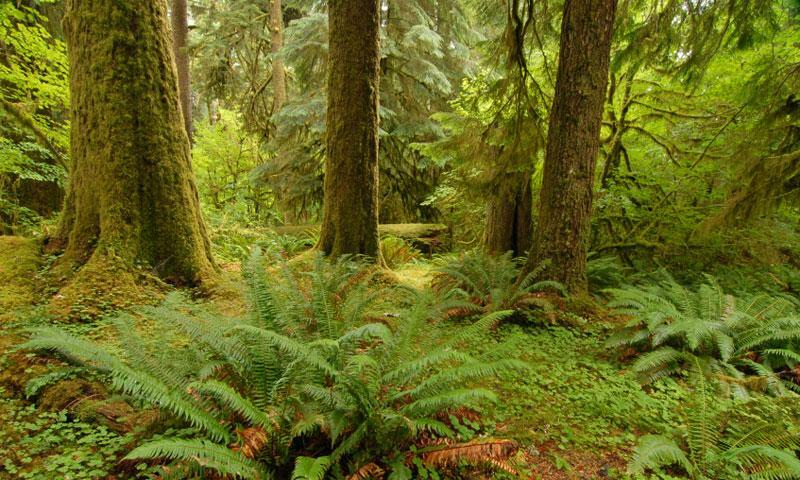 One of the best examples of temperate rainforest in the U.S.
Go camping in the rainforest! What can I see and do at the Hoh Rainforest? Nature Walks: There are three short trails through small sections of the rainforest that allow visitors of all ages to explore the area. The .1-mile Mini-Trail is flat and paved and is accessible with assistance. The .8-mile Hall of Mosses loop is interpretive and has just a 100-foot elevation gain, and the 1.2-mile Spruce Nature Trail takes you through the forest to the Hoh River with an elevation gain of less than 100 feet. Hiking: Two day-hikes originate from the Hoh Rainforest. The South Snider-Jackson Trail is an 11.8-mile trek that starts just west of the entrance station, ascending 2,700 feet and then descending to the Bogachiel River. The Hoh River Trail is a little more than 18 miles-long and can be hiked to Glacier Meadow or all the way to Blue Glacier. The latter demands glacier climbing skills. Camping: There are 88 sites available at the Hoh Rainforest Washington. Open year round, this campground includes fire pits, potable water, accessible restrooms, food storage lockers, picnic tables, and an RV dump station. 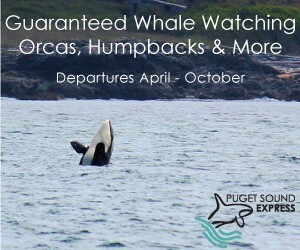 Reservations are suggested during the summer months. Where is the Hoh Rainforest? The Hoh Rainforest is located on the west side of Olympic National Park. From Port Angeles, take US Highway 101 west approximately 90 miles to left on Upper Hoh Road. Follow signs to the Visitor Center and rainforest trails. How much does the Hoh Rainforest cost? Exploring the rainforest is free though there is a charge to enter Olympic National Park. For more information about the Hoh Rainforest, call the Visitor Center at 360-374-6925.